Famous Drama serial Bulbulay’s Actress Ayesha Omer seen on screen in item song of upcoming movie Karachi se Lahore. Mehwish Hayat in Bili song Na Maloom Afraad, Saba Qamar in movie 8969 and now Ayesha omer performing item song in Karachi se Lahore. Like indian movie Pakistani movies also started trend of item songs. 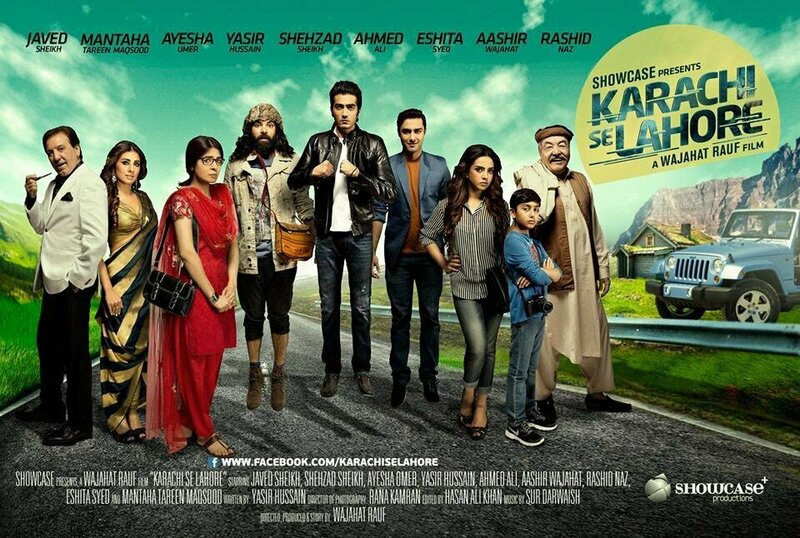 This movie is about group of friends their journey from Karachi Se Lahore, this is a road movie.Ayesha said about song. Director of this Movie, Wajahat Rauf, is also very happy to see the feedback and he is also excited to release film soon. she added. Ayesha’s look beautiful in the film’s poster.She also reveal that she has sung the item song titled Tooti Frooti . I luuuuuvvvv u aysha… Bs yrrr ye gandi dressing chor do men ni chahti k apki izat khrb ho.. Purey kapron men b hit hua ja skta hai.. We all luv u.. Pls don’t forget we r Muslims..